The tallest structure in Japan is under siege by a 1,148-foot Titan. 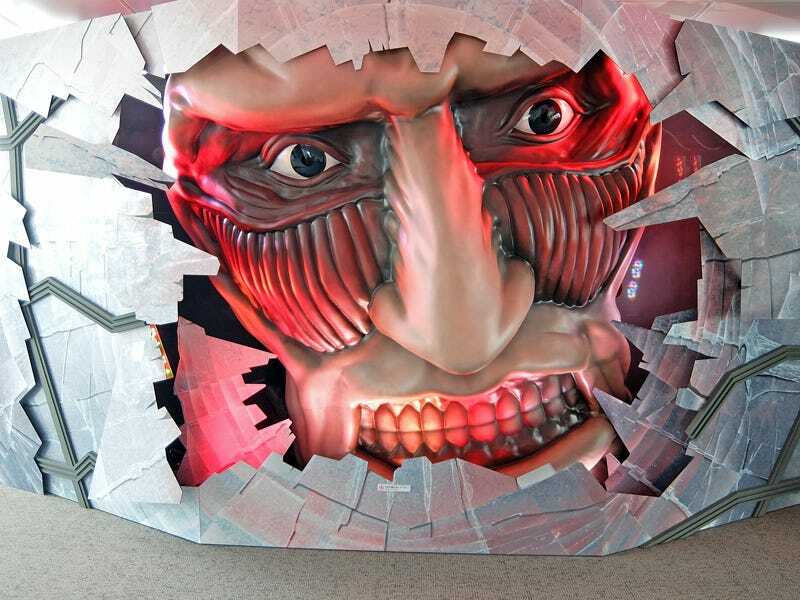 As you can see in these terrific photos from Ryutsuu News, there’s a big Attack on Titan exhibit at Tokyo Skytree with original art, life-sized Survey Corps. statues, Attack on Titan food, and merch. Attack on Skytree, as they’re calling it, runs from April 10 until July 14. For more photos, check out Ryutsuu News.